Daniel Ehrenhaft is the Editorial Director of Soho Teen. 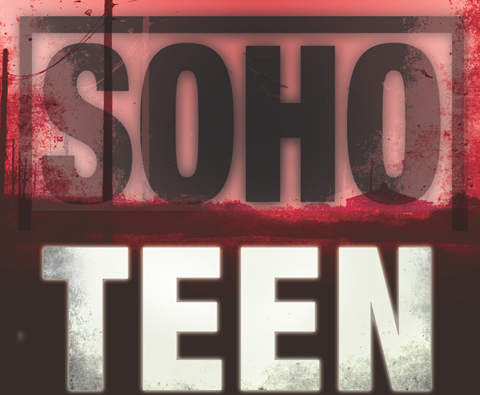 I am very excited to share a taste of Soho Teen’s Fall 2014 list. True to our dual mission of introducing fabulous new talent and nurturing acclaimed authors’ careers (including some who are new to our stable), you’ll find amazing debuts, first-time Soho Teen offerings, and sequels you’ve been waiting for. The season launches with Elizabeth Kiem’s follow-up to the hit Dancer, Daughter, Traitor, Spy, an August 2013 Amazon Best Book of the Month and Indies Introduce Winner. Hider, Secret, Secret Keeper picks up the Cold War mystery of Kiem’s unforgettable heroine, Marina Dukovskaya, in the present day—from the point of view of her rebellious ballerina daughter, Lana. Poised for a break-out moment in America with the infamous Bolshoi, Lana must navigate an unlikely romance and avoid traps at every turn in order to defend her family’s honor and learn the truth about her past. Next comes Mapmaker, which fuses the extraordinary talents of hit screenwriter Mark Bomback and award-winning bestselling author Galaxy Craze. Their protagonist, Tanya Barrett, is a seventeen-year-old orphan with a savant-like geospatial gift: she can tell you the exact measurements of any room at a glance. After uncovering a deadly secret at the digital mapmaking company founded by her deceased father, Tanya finds herself hunted and on the run—relying on her geospatial gift in ways she never imagined—and ultimately arriving at the terrifying truth about what really happened to her father. 2012 Edgar Nominee and bestselling ghostwriter (for Francine Pascal and Katherine Applegate) Barnabas Miller’s The Girl With the Wrong Name is a haunting down-the-rabbit-hole odyssey that explores just how far people will go to bury the past. Nothing is what it seems in this psychological thriller, not even the spectacularly original narration of its wry and introspective protagonist, seventeen-year-old Theo Lane. January 2015 is a fitting month for Boundary, the second installment of Heather Terrell’s epic series The Books of Eva—set in a frozen world on the verge of a new beginning. As Eva trains to become Archon, preparing to lead the New North with her newly betrothed Jasper, she struggles with a secret born of her forbidden time in the Boundary land: Lukas’s belief that war is imminent and that Eva is ordained to lead the long-oppressed Boundary people to victory over her beloved Aerie. But when she uncovers the identity of her brother’s murderer, she no longer knows who can she trust or what she can call the truth. Finally, in February comes Stone Cove Island by debut author Suzanne Myers. Part YA Stephen King, part Shirley Jackson’s The Lottery, this mystery delivers delicious twist upon twist with an ending impossible to see coming. After a catastrophic hurricane devastates a quaint summer resort community, a seventeen-year-old girl leads the recovery effort—and in the wreckage, she stumbles upon the apparent confession to a thirty-year-old unsolved murder. In the ensuing quest for the truth, she uncovers a centuries-old conspiracy that upends everything she believes about her hometown. Download the Teen Sampler here. As always, we look forward to your feedback!